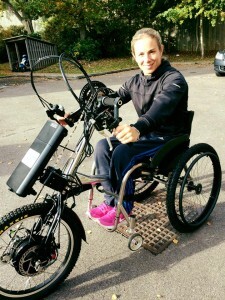 Here is a fantastic blog from Lucy Shuker who has managed to find time in between her very busy tennis playing schedule for her first outing on her new Cougar Power Assisted handcycle. 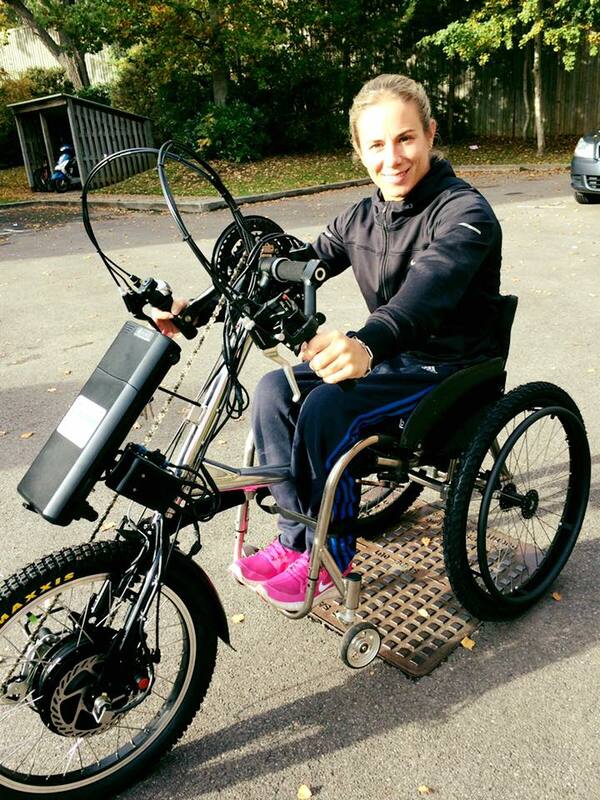 “On return from a Paralympic Simulation Camp in Rio I was excited to get back and try out my new Cougar Power Assist Handcycle for the first time. I wanted a hand cycle to compliment my training in the lead up to the Paralympic Games but also to enable me to join many of my avid cyclist friends who are always out and about on their bikes. With my training base in Taunton, there are the beautiful Quantock Hills, my home in Fleet is close to Virginia Waters and Great Windsor Park, and with many friends in Bournemouth there is 7 miles of beautiful beach promenade before you even start to explore the Purbecks. My maiden voyage however was a little smaller around Fleet accompanying my friend who is training for a Marathon next year. It was brilliant fun, cycling through the autumn leaves and with the power assist feature delivering immediate power to the wheels I no longer found myself stuck on the uphills anymore. I found the hand cycle easy to use and unlike some other makes and models the Cougar power assist has enough gears for a pure fitness workout or with the power assist you would be able to keep up with able bodied cyclists. The battery charge monitor also gives reassurance in knowing there is enough charge to help you home and would therefore never be stranded. I’m on my way back from California today where I have been competing in the end of year Doubles Masters and will now be preparing ahead of my final competitions of the year including end of year Singles Masters at the Queen Elizabeth Olympic Park. I’m looking forward to being out on my Cougar again”.